In this how-to, I’ll be covering how to break in your 1911 frame and slide with polishing compound so everything feels smooth like glass. I did the following after shooting about 200 rounds in my new gun just to make sure that everything worked before I started modifying. I used car polishing compound for paint since it is much finer grit than what I had on hand for metal polishing. I always err on the safe side and don’t mind polishing for a little bit longer rather than possibly taking off too much material. I’m basing this tutorial off of Nic Taylor’s excellent video on YouTube. 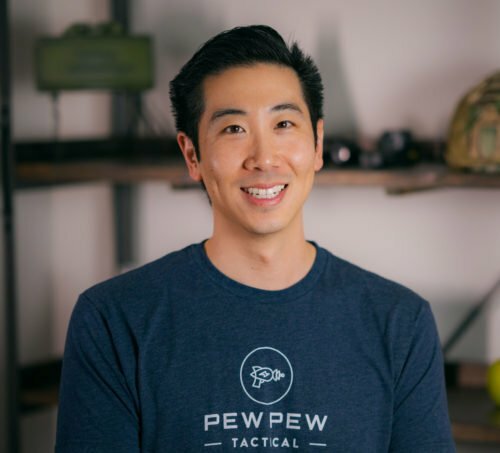 He’s a competitive shooter and his videos have taught me tons about the 1911 platform. 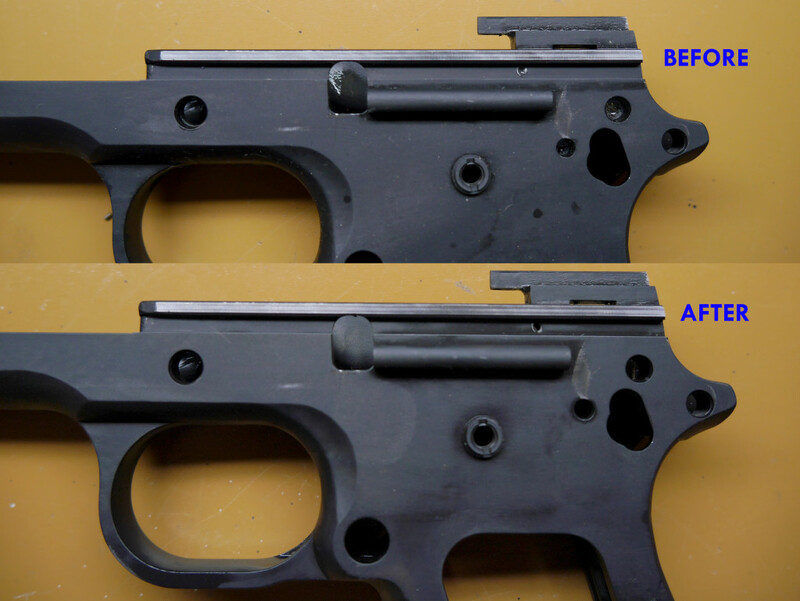 First, disassemble your 1911 completely and put a small amount of the polishing compound on the rails. Then, put the slide back on and hold onto the slide with two fingers and start moving gently back and forth. After a good amount of back and forth action, you’ll feel the compound start to wear out. I put on some more and get back to work. The goal is when the slide is at the rear and you tilt the frame toward the ground, the slide can easily fall off. For my STI Trojan, the fit was already pretty good so I only needed to add extra compound twice. Here are some before and after pictures of the frame and slide. You can definitely tell where the polishing compound helped to accelerate the normal break in. 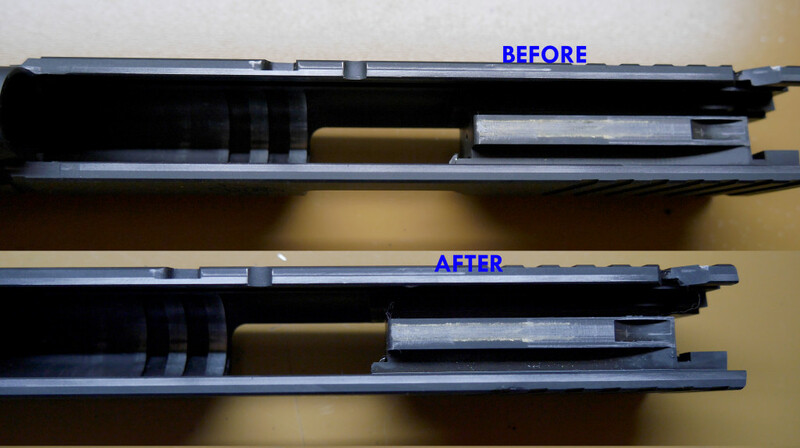 Make sure to clean up the compound really well (I used a big spray bottle of gun cleaner) or else the compound could get into other parts of your gun and cause premature wearing out. I then oiled and reassembled my gun. 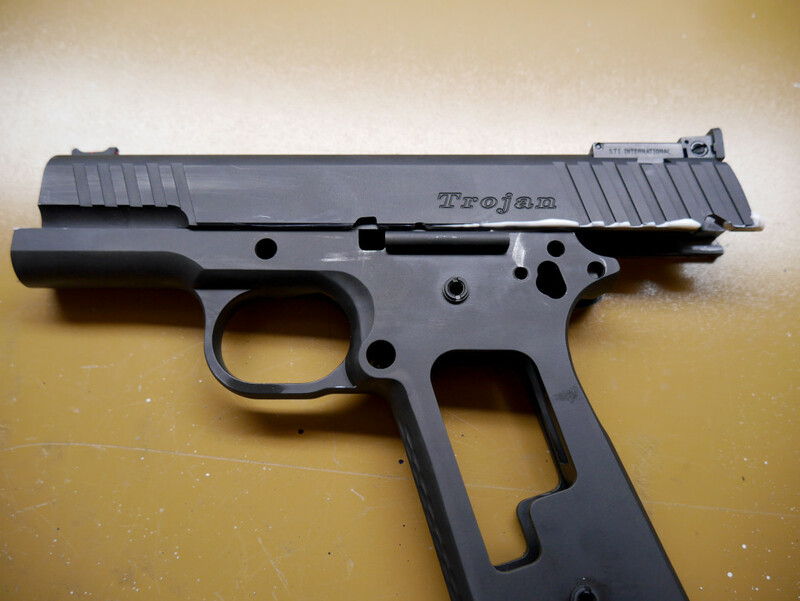 It felt a lot smoother like my other 1911 which has around 3000 rounds through it. A friend of mine asked me to do a trigger job on his new Remington R1 1911. When he brought it over I was astounded at how loose the slide was. We took to the range and on a rest I can’t get it to do any better than a 3″ group at about 20 yds. The slide on this thing has side to side movement as well as up and down. I know I can remove the up and down with penning the rails but how do I get rid of the side to side movement? Hi Jeff, I’d highly recommend getting a gunsmith to help with fitment of the slide. One should be able to help with both horizontal and vertical movement. In my opinion it’s more about fitment of the barrel to the slide if you’re going for accuracy.